Have you noticed that your computer is suddenly slowing down, and you checked on the Task Manager only to find that a process called Modern Setup Host (SetupHost.exe) is causing high CPU usage and high Disk usage in Windows 10? Here’s what you need to know about the process and what you can do to fix the issue. What is Modern Setup Host and is it a virus? 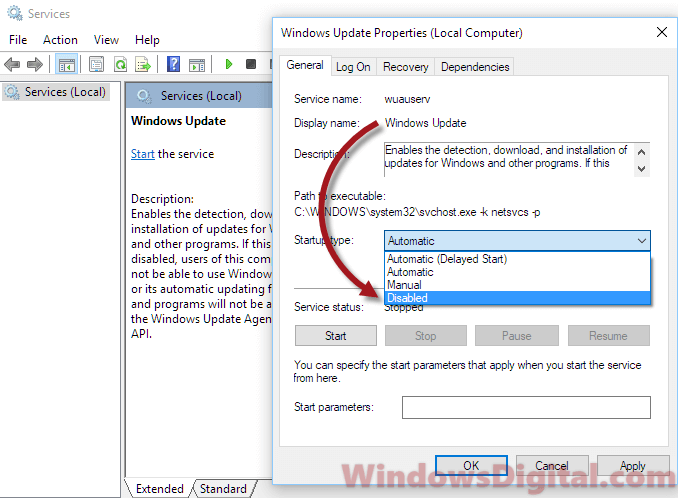 Modern Setup Host, also known as SetupHost.exe, is a Microsoft Windows process to install Windows updates, particularly major updates every few months, in Windows 10. The process will run in the background when there is an update ready to be installed, regardless if your computer is idle or active at the moment. This can be an issue when you’re into something and the Modern Setup Host suddenly starts to run itself, causing high CPU usage and high disk usage (which can be as high as 100% constantly as long as the process is running). Thus, also slowing down whatever you were doing. In most cases, Modern Setup Host will be gone by itself when it has completed whatever update installation needed to be done. For most major updates, depending on your computer performance, Modern Setup Host should usually take about 15 to 30 minutes to complete its job. Sometimes, can be as long as a few hours if you have a very slow writing speed HDD or something else is running behind that may slow down the setuphost.exe process. Modern Setup Host (setuphost.exe) is not a virus by default. It is a genuine Windows process developed by Microsoft to install updates downloaded by Windows Update. However, any process can be a virus if a malware disguises itself as the process. So, if you are worry about it, scan it with an antivirus software. 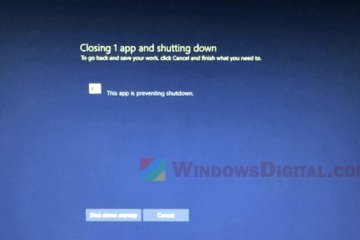 How to fix Modern Setup Host High CPU and Disk Usage in Windows 10? Since it’s just a process to install necessary updates for your PC, it’s best that you allow it to run for awhile. As mentioned earlier, it should only run for about 30 minutes, but that highly depends on your computer’s performance. Try to let the process to run for several hours. The process shouldn’t be running too frequent. Like mentioned above, it will only run when there is any major update that usually only happen every few months. When it runs, it’s usually installing some one-off giant updates and will be gone by itself when its job is done. 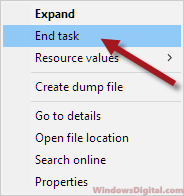 You can also choose to kill the process now by selecting Modern Setup Host or setuphost.exe from the Task Manager and then click on End Task. This should terminate the process immediately and it should remain off until your next restart. On your next boot up, when it detects there is an update needed to be installed, Modern Setup Host will run again. This should only be a temporary fix. Can I delete Modern Setup Host? No, you can’t delete Modern Setup Host process, even with admin privileges. 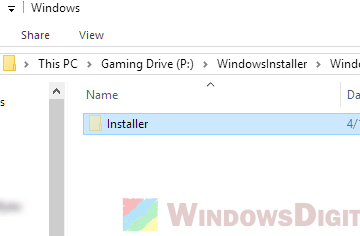 It’s one of the most crucial Windows component to install important updates for your Windows 10 PC. Even if you find a way to somehow delete it, we highly wouldn’t recommend doing so as it will completely break the Windows Update process. Killing Modern Setup Host process is just a temporary fix. It will always come back and causing high CPU usage or high disk usage again as long as its job is not finished. If you’ve already tried to allow Modern Setup Host to run overnight and yet it’s still running on high CPU or disk usage on the next day, try to run DISM and Windows Update troubleshooter to check and fix Windows Update error. To run DISM, go to start menu. Search for command prompt. Right-click it from the search result and then select Run as administrator. In the elevated command prompt, enter the following command followed by Enter key. 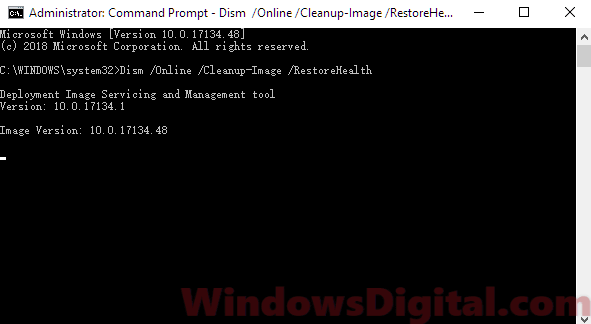 The command is called Deployment Imaging and Servicing Management (DISM) which is a Windows built-in tool to automatically replace files and correct services problems, particularly Windows Update problems, for your Windows 10 image. When the process is completed, restart your PC and try to run Windows Update again, or allow Modern Setup Host to run when it starts itself in the background. If DISM fixes any Windows Update issue, this time Modern Setup Host should be able to successfully install the updates and be gone by itself. 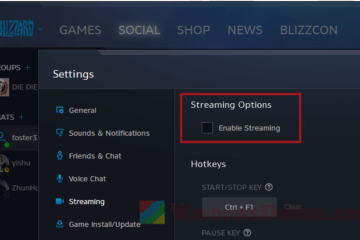 If nothing works and you don’t care about if you get the latest update or not, here’s how to disable Windows Update entirely. 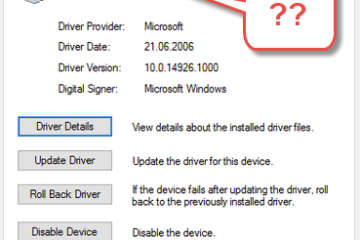 We do not recommend doing this as Windows Update will not be able to run itself and get the crucial security updates for your computer. However, you can always turn it back on by repeating the steps below and choosing Automatic for the service. Anyway, do this at your own risk. Press Win+R keys to open Run window. Type services.msc and then click OK. 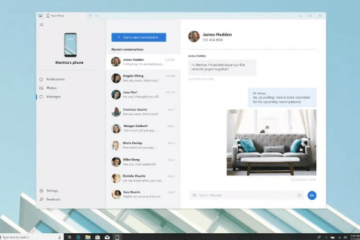 In the Services window, look for the service called Windows Update. Double-click on the Windows Update service. Let us know if any of the above works to fix your Modern Setup Host high CPU or Disk usage in Windows 10 issue. If you know a better solution, share with us in the comment section below. Description for sharing: Computer is slowing down due to Modern Setup Host (setuphost.exe) is causing high CPU usage or high Disk usage (100%) in Windows 10.